Ski-infused design helps make the Obermeyer Devi Down Parka a warm, rugged solution for biting cold weather. This flowing parka provides full coverage with ultra-warm, ultra-lightweight duck down keeping the cold out. The sparkle inner stretch cuffs provide a cozy seal around the wrists. The down-filled hood is oversized for extra warmth and comfort and can be removed any time you want. Enhanced-fit shaped seams and a fleece-lined collar complete a super-comfy package. "What is the color and fabric of the interior of the Obermeyer Devi Down Parka Coat in the color ceramic?" 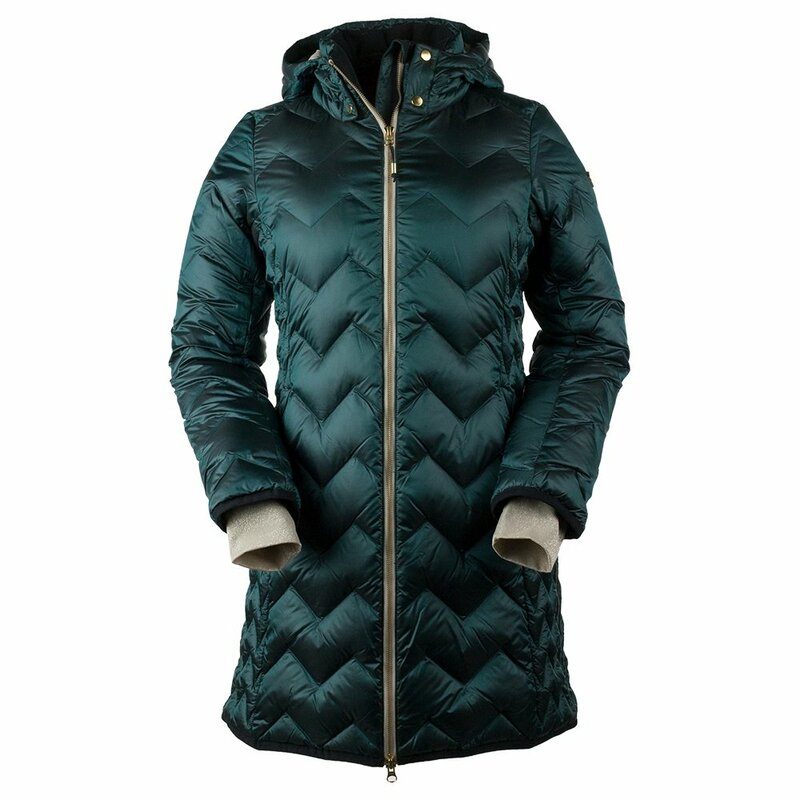 "The Obermeyer Devi Down Parka Coat interior is 100% polyester with 100% nylon panels. The interior is in the same color as the shell. We hope this information helps!" "is this jacket viable to 20 degrees below f"
"Thank you for your inquiry. This jacket is rated by the manufacturer for temps of 15 degrees Fahrenheit and below. We hope this information helps. " "What is the weight of this coat?" "The Obermeyer Devi Down Parka Coat has a shipping weight of 1.2 LBS. It has a 600-fill power duck down that provides warmth but doesn't weigh you down. Hope this information helps!" "Does it have outer side pockets ?" "Thank you for your inquiry. Yes, the Obermeyer Devi Down Parka Coat has two front outer pockets. We hope this information helps! " I would purchase Obermeyer products again. Fantastic coat for our winter weather in central Oregon. It is light weight and moves with me; very, very comfortable. Nice and warm and the fit is true to the fitting scale provided when i purchased it.